Every story has two sides to it--so does this brush. Inspired by our customers' need for multi-functional tools that work overtime, this patent-pending design is compatible with liquid and powder formulas. Use the side with synthetic, champagne-colored fibers to apply emollient products like cream blush and concealer. Use the side with natural, brown fibers to apply pressed and loose powders. 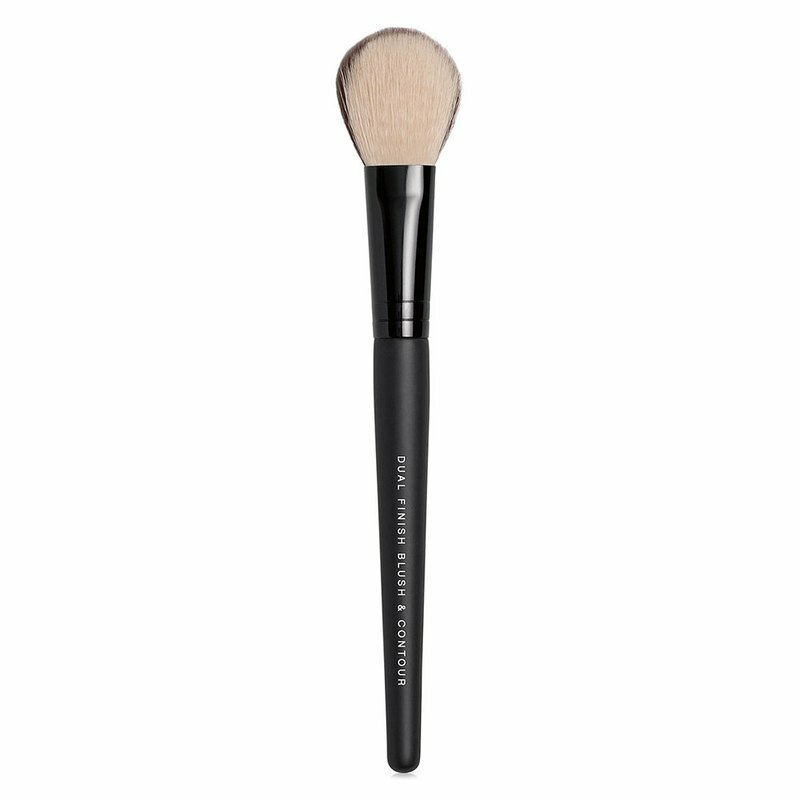 Its blend of fibers and compact size make it perfect for depositing, blending and smoothing anything (and everything). The sides also play well together. Swirl the tip over just-applied makeup for superb blending.